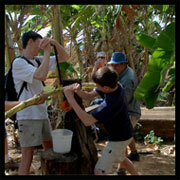 A unique place at a unique time in history: volunteer in Cuba this Fall! Globe Aware’s Care for Cuba program pulls back the curtain on this Caribbean culture and gives a clear look at the beauties, struggles, and determination of the Cuban people. Cubanos are proud, educated, and welcoming. Open music in the streets, hardly any car traffic, smiles amongst joy and sorrows; most visitors are enchanted by a world unlike any they could imagine. Experience this now, before long anticipated change comes with the changing administration. 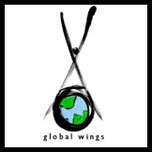 As mentioned in last month’s newsletter, Globe Aware will be hosting an International Culinary Experience to raise funds for the Global Wings Youth Scholarship. The event will be held on Thursday, February 24, 2011 from 7:00 to 10:00 PM at the Southside On Lamar building in downtown Dallas. Come and enjoy international finger-foods from multiple countries in a fun and casual environment. There will be live entertainment from local Dallas artists, as well as cocktails from each different country. There is a $25 cover for attendees who book in advance, and a $30 cover at the door. Larger donations are greatly appreciated! All proceeds will benefit the Global Wings Youth Scholarship, which provides underprivileged Dallas youth the opportunity to experience a fully funded Globe Aware program. This fund is in recognition of what a life changing experience our projects can be, and the significance of helping put a youth on a path of lifelong service. This month we would like to acknowledge two dedicated Globe Aware volunteers Peter and his wife Colleen from Chicago, IL. Peter and Colleen have volunteered their helping hands with Globe Aware in China and Ghana. While in Ghana this year, actually the day before they were supposed to leave, Peter was officially made chief of Mafi-Wudukpo, the village where they helped construct sanitation facilities. Colleen is to be crowned ‘Queen Mother’ on their next visit. You can read more about their honorable experience here at globeaware.org! In addition to their efforts in China and Ghana, Peter recently helped develop the new Globe Aware Ambassador Program. In October, he very kindly hosted the first ever Ambassador Webinar, and got the ball rolling for the charter Ambassador group. We would like to extend a tremendous THANK YOU to Peter and Colleen for your amazing support! You are both truly cherished here at Globe Aware. What was your favorite meal while on a Globe Aware volunteer vacation? One of the many great things about experiencing a different culture is being introduced to their traditional cuisine. Mealtime is something cherished and appreciated by families all across the globe. Show your appreciation for a country you’ve traveled to and spice things up for the family this Thanksgiving, by adding a simple traditional dish/dessert from any country to the spread! From Ghana’s delectable Groundnut Stew to Costa Rica’s divine Dulche de Leche, there are many scrumptious and simple recipes that can add a unique global flavor to this wonder‘FULL’ holiday! Boil each of the 3 types of potatoes in separate pots. Add saffron to the yellow potatoes. Cook all potatoes until tender (about 20mins.) Drain the potatoes, and mash each type separately adding 11/2 tbsp butter or margarine and sea salt to each. In a mixing bowl, combine all the ingredients for the olive mixture..
Line a 9X4 loaf pan with plastic wrap, extending the wrap over the edges of the pan. Layer one variety of mashed potatoes in the bottom of the pan and spread evenly. Spread ½ of the olive mixture on tope to the potato layer and add a layer of another variety of potato, another layer of olive mixture and finish with a potato layer. Fold the plastic wrap over to cover the top and chill in refrigerator overnight. Lift the plastic wrap carefully onto a serving platter, remove plastic wrap. Slice and serve the causa.